AS A BUILDER OF QUALITY HIGH END GUITARS I SPEND THE MAJORITY OF MY BUILDING TIME DEVOTED TO ACHIEVING A SUPERIOR ACOUSTIC TONE FOR ALL OF MY INSTRUMENTS THEREFORE IT IS EQUALLY IMPORTANT TO ME TO HAVE THE AMPLIFIED SOUND EQUAL THAT OF THE ACOUSTIC TONE. I MAKE GUITAR MODELS ALL ACROSS THE MUSICAL SPECTRUM INCLUDING ACOUSTICS, ELECTRICS, CLASSICALS AND ARCHTOPS, ALL COME WITH PICKUPS AND EACH STYLE NEEDS TO BE AMPLIFIED DIFFERENTLY IN ORDER TO BRING OUT THE BEST IN THE INDIVIDUAL INSTRUMENT. 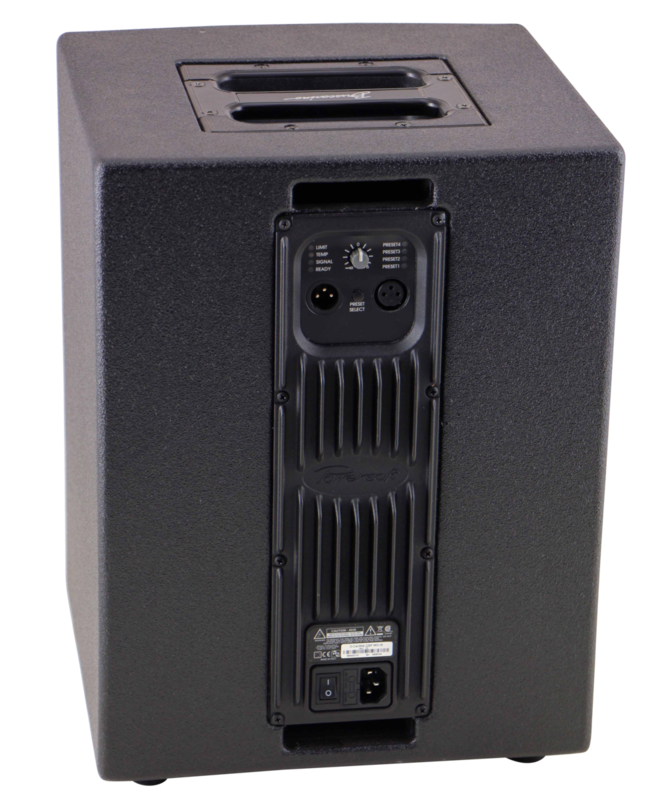 MY GOAL WAS TO DEVELOP A SPEAKER THAT CAN HANDLE ANY INSTRUMENT INCLUDING VOCALS, BE USED WITH A VARIETY OF PREAMPS, MIXERS OR MODELING AMPS SO YOU CAN TAILOR YOUR SETUP TO YOUR NEEDS, AND BE RUGGED AND PRETTY MUCH BULLET PROOF. 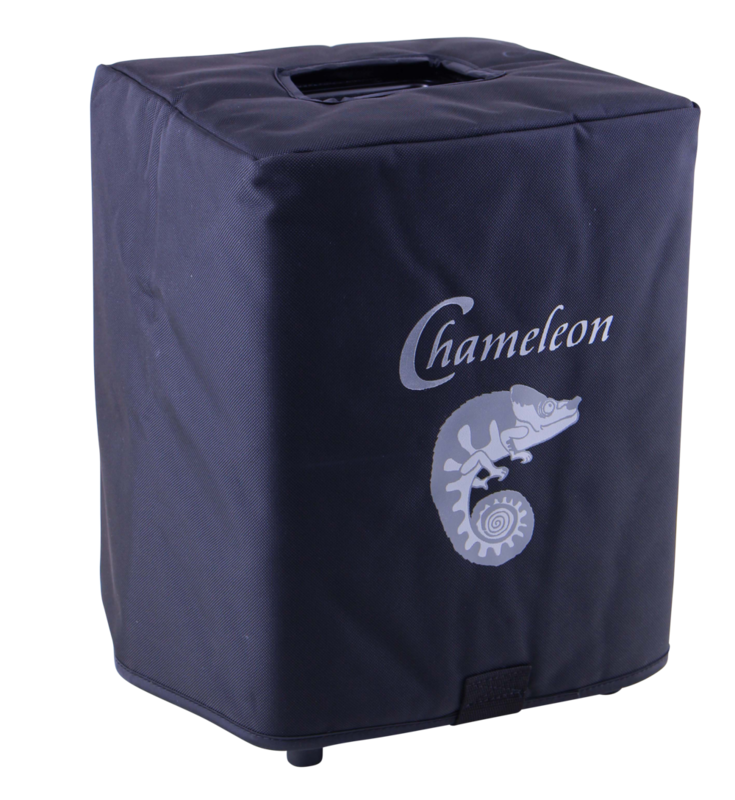 THE CHAMELEON SPEAKER IS ALL THAT AND MORE. THE ONE THING I DIDN’T WANT WHEN DESIGNING THIS SPEAKER WAS FOR IT TO BE JUST LIKE EVERY OTHER COMMERCIAL SPEAKER. I SPARED NO EXPENSE WHEN CHOOSING THE COMPONENTS FOR THIS SPEAKER; IF THE CHOICE WAS PRICE OR QUALITY I CHOSE QUALITY EVERY TIME. THERE REALLY IS NOTHING THIS SPEAKER CAN’T DO AND IT’S THE LAST AND ONLY SPEAKER YOU WILL EVER NEED. I SPENT AT LEAST 3 YEARS RESEARCHING, LEARNING, DESIGNING AND GATHERING ALL THE INFORMATION I COULD GET ON MUSICAL INSTRUMENT SPEAKERS. WITH MUCH EXPERIMENTATION AND INSTRUCTION FROM SOME OF THE SMARTEST AND MOST TALENTED PEOPLE IN THE BUSINESS I was able to build a speaker THAT NOT ONLY SUITED MY NEEDS BUT EXCEEDED THEM ON EVERY FRONT.